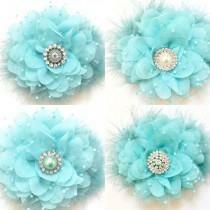 Aqua Sea Blue Hair Flower Clip Chiffon Dot Mesh Lace Flower 5 inches Choose your Rhinestone or Pearl. 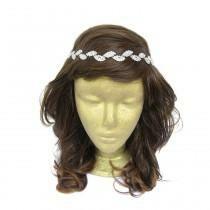 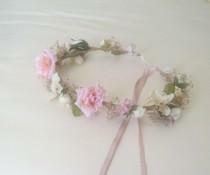 Available on a Arched or Stretch Headband. 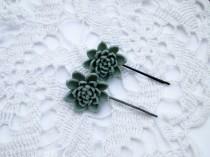 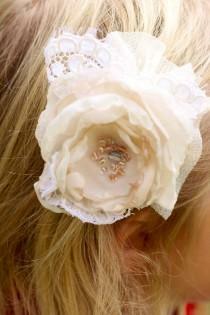 Fancy Girl BoutiqueNYC Custom Hair Flower Clips. 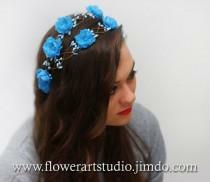 Blue Floral Crown, Sky Blue Headband, Malibu blue Bridal Floral Crown, Bridal Hair Wreath, Flower Girl Hair Wreath, Wedding Headband. 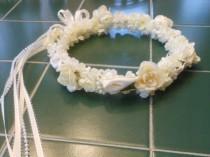 The listing is for pearl wedding headband. 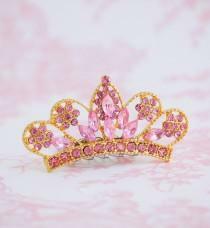 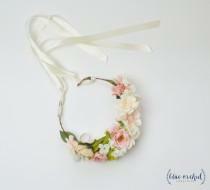 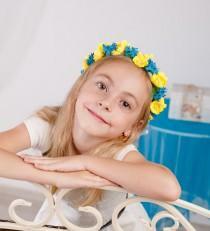 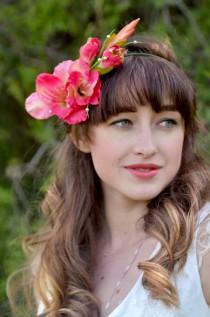 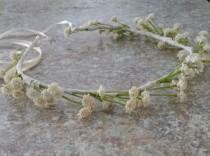 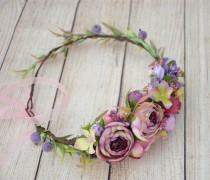 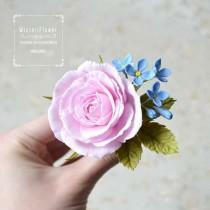 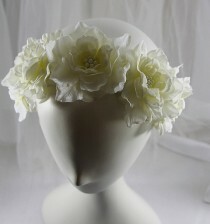 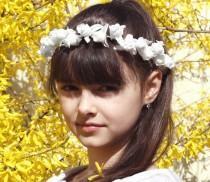 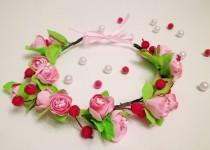 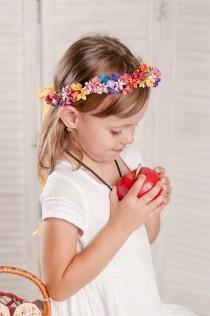 Lovely headband for bride or for flower girl. 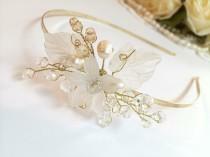 This headband is handcrafted using freshwater pearls, glass beads, artistic wire and acylic flower beads. 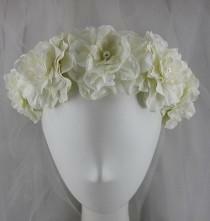 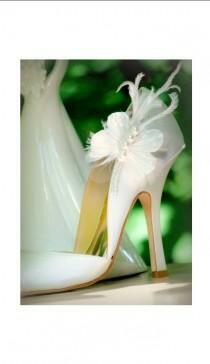 Also good as bridesmaid headpiece and for everyday use. 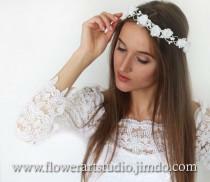 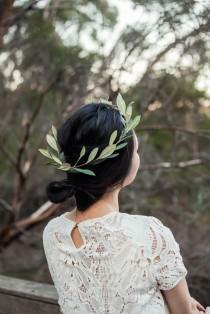 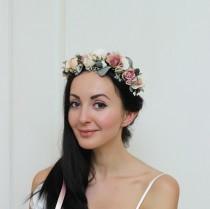 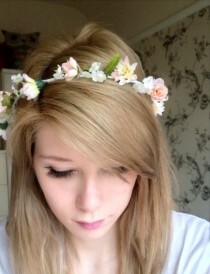 My special daisy flower crown headwreath has petite ivory and blush pink flowers on an ivory base. 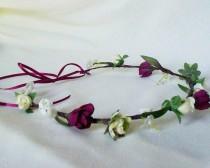 **Made to Order, allow 2 weeks** I hand make all my bases, this one so comfy and you can bend and play with however you want to wear it in your hair!